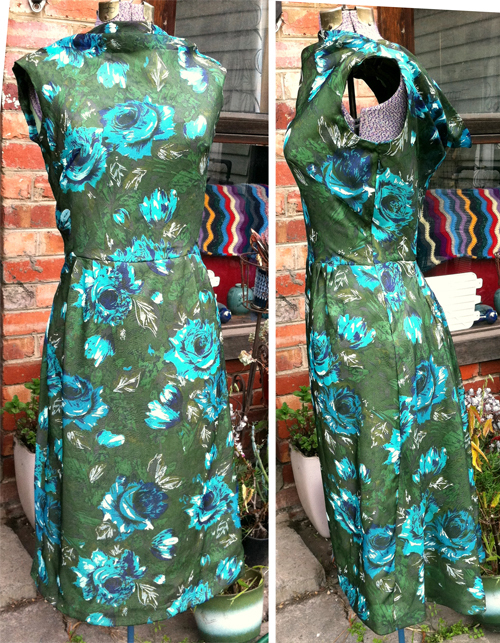 The dress to wear to my friend’s wedding this weekend is finished. And it almost finished me. Silk organza is EVIL… it’s probably made from REAL ORGANS. What a monstertrucker it is to sew, what with the unravelling and the wiggling and the stretching. 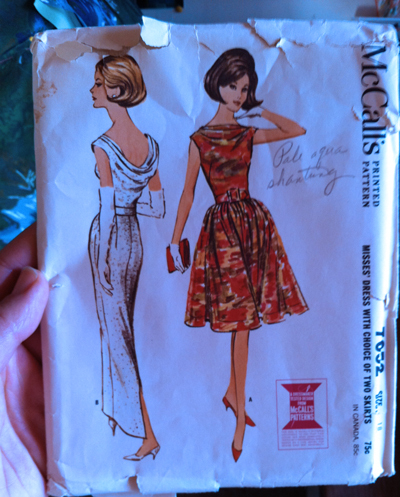 It’s the 1963 pattern, McCall’s 7052, with modifications. 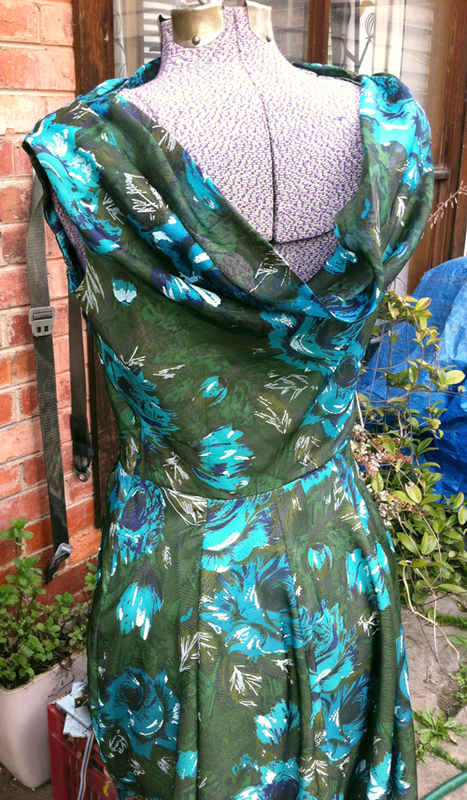 I just used the double-cowl bodice and then frankensteined skirt pieces from TWO different patterns. That’s metafrankensteining. I wanted a straight skirt at the front and a full one at the back, which means I could be vaguely sleek but still engage in wild, abandoned, drunken dancing (I anticipate it will be that kind of wedding. I hope it will be.) So I have a mullet skirt. Excellent. 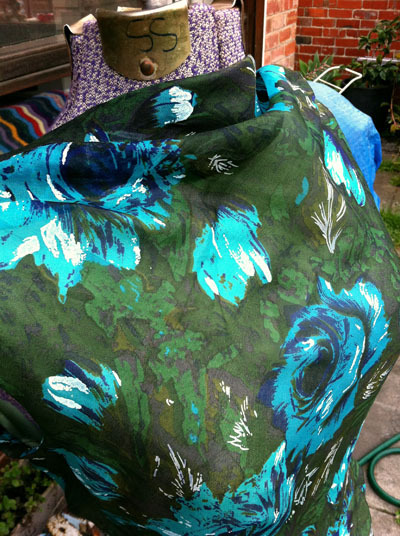 I bought the fabric ages ago from Rathdowne Remnants, and lined it in an avocado-green silk you can still pick up for a song at Clear It. (Or, if you run out, and you know Moggy, you can raid her stash on a Sunday night like I did. Thanks, Moggy!) I couldn’t resist the blue roses, which I’m always drawn to for their genetic impossiblity, even though I don’t actually like roses much. Also, I like the 1960s Readers Digest illustrative style of their rendering. It was before I knew how diabolical organza is and I won’t hurry to sew with it again… it’s just not worth it. But after all that, I’m quite pleased with the result. Bring on the festivities! Bit bullet. Made decision. It’s McCall’s 7052 from 1963 with double cowl action.